Bannon is Out! Who's Next? 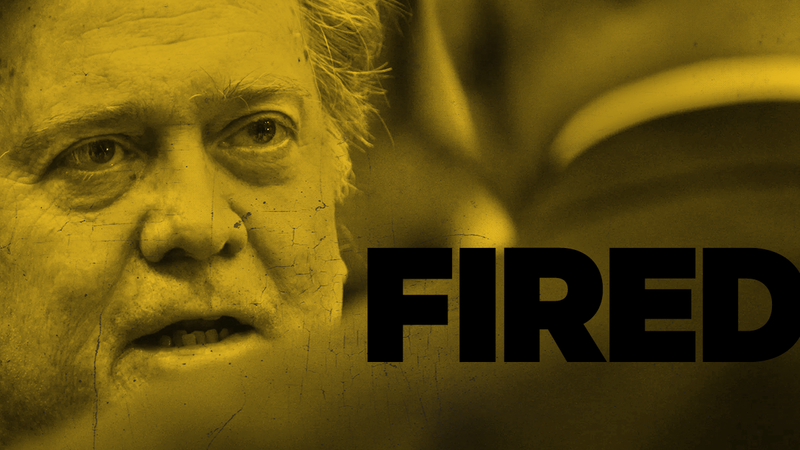 White House Chief Strategist Steve Bannon was just removed from his position following inflammatory comments in the wake of rising white supremacist activity. But Bannon has not been the only one widening the pathway for white supremacist thought and practice to be mainstreamed in the White House as one of Trump's top advisors. For starters, Stephen Miller and Sebastian Gorka have to go. Miller has been an architect of some of Trump’s most dangerous ‘America First’ rhetoric and discriminatory policies, like the Muslim Ban. Miller’s role in crafting white nationalist policy goes back to his work with Senator Jeff Sessions, and in Trump’s campaign he was the warm-up act at rallies, whipping up crowds into an anti-immigrant furor. Gorka is a leading Islamophobe and key so-called “anti-terrorism” advisor to President Trump with ties to racist, antisemitic political groups in Hungary. Gorka is a “sworn member” of what the U.S. State Department calls a Nazi-aligned group, known as the Vitézi Rend. Their strategy is to play with the real lives of real people - us and our families - like it’s a game. It's time for Congress to choose sides and demand the firing of ALL white supremacists in the White House. This is not the time to protect and champion neo-klan members. The time for accommodating and enabling white supremacists has long passed. I’m writing to demand you stand up to white supremacists elements in the White House by calling for Stephen Miller and Sebastian Gorka to be fired. White House Chief Strategist Steve Bannon was just removed from his position in the White House but that is just the tip of the iceberg. Send a clear message that white supremacy is wrong. Please show leadership at this critical time in our history. Demand Stephen Miller and Sebastian Gorka be fired and refuse to work with a White House that harbors white supremacists.